Yannick Noah – Yannick is the only male player of African descent to win the French Open. His career high ranking was number 3 in the world in 1986. His professional match record was 476 wins and 210 losses. He won a total of 23 professional singles tournaments and 16 professional doubles titles. He became the second most popular (globally) male tennis player of African descent. 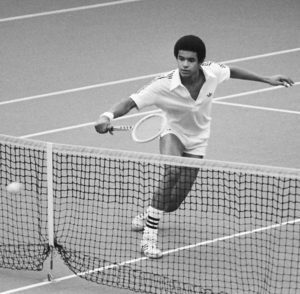 His personality and success on the court inspired people of color around the world to take up tennis. He has been very active in charity work and supports the charity Enfents de la Terre, a charity created and run by his mother. He also founded Fete le Mur in 1996, a tennis charity for young people living in underserved communities. He has recently become a popular musician and continues to tour the world. James Blake – James Blake has been one of the most successful African American male players to play professional tennis. 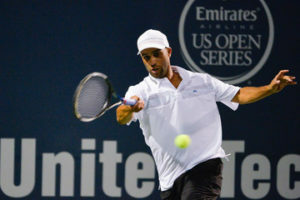 He earned nearly $8 million in professional prize money and had a record of 366-256 on the professional singles tennis tour. He achieved a ranking of number 4 in the world in 2006 and number 31 doubles. He was a member of the victorious 2007 US Davis Cup Team and won the Hopman Cup in 2003 and 2004. During his career he took a page out of Arthur Ashe’s playbook and developed a reputation as a gentleman and a class act on the professional tour. His popularity helped to increase interest in tennis in all communities of color (especially the African American community). He runs his charity called the James Blake Foundation which invests in medical research. He has also been the Chair of the USTA Foundation which supports the growth of tennis in underserved communities. He is a frequent volunteer at events in urban tennis programs. 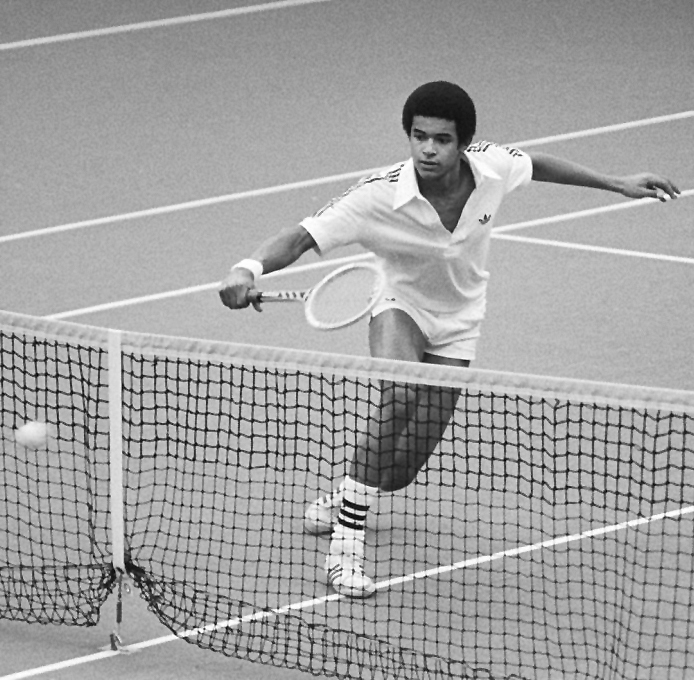 He has without question been one of the most influential Black tennis players in history. 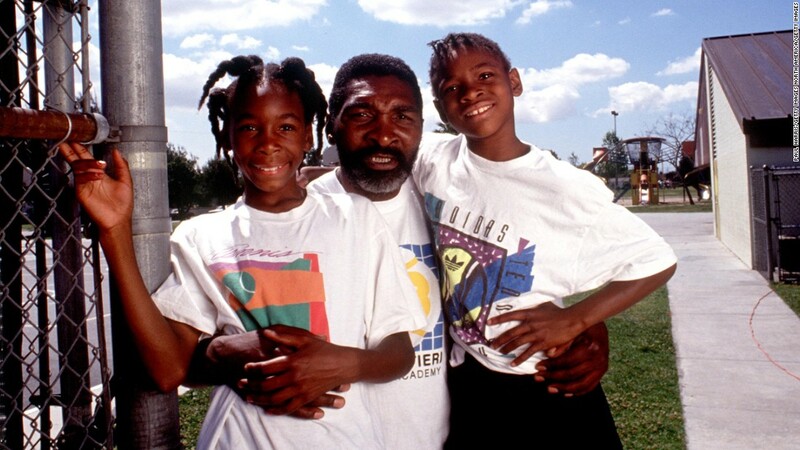 Richard Williams – Richard, the father of Venus and Serena Williams, has developed two of the finest players ever to strike a tennis ball. He took tennis lessons from a man known as “Old Whiskey” and decided his future daughters would be tennis professionals after seeing Virginia Ruzici play on television. He wrote a 78-page plan and started giving lessons to Venus and Serena when they were four and a half, and began taking them to public tennis courts. Soon after that he got them into Shreveport tennis tournaments. In 1995, Williams pulled them out of a tennis academy and coached them himself. Defying conventional wisdom and much criticism, Richard stayed true to his faith and belief in his daughters. This faith was rewarded when Serena won the US Open in 1999 and Venus beat Lindsay Davenport to win the 2000 Wimbledon title. After that victory, Richard shouted “Straight Outta Compton” (in reference to a song by N.W.A. based on that area in Los Angeles) and jumped over the NBC broadcasting booth, catching Chris Every by surprise and performing a triumphant dance. Evert said that the broadcasters “thought the roof was coming down.” History will recognize Richard Williams as one of the greatest tennis coaches in history. 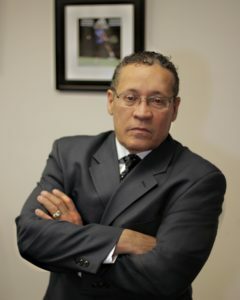 James Ciccone – James served as the American Tennis Association’s pro bono general counsel dating back to the 1990s without compensation or expenses, a period of over 20 years. Celebrating its centennial anniversary, this term of service represents more than 20 percent of the life of the organization. He advised five American Tennis Association presidents, boards of directors and executive committees, repelled two hostile takeover bids, supervised national elections involving controversy and competing factions in the interest of preserving unity, re-wrote the organization’s constitution and bylaws, established the historical preservation committee in the interest of protecting the rich legacy of black tennis, established the dispute resolution committee as an alternative to litigation between members as a condition of membership, established the advisory committee as a vehicle to involve financial leaders in organizational affairs to commit financial resources to the organization, and expertly settled litigation that threatened the existence of the organization. He also protected the Southern Section, including the Alabama, Arkansas, Florida, Georgia, Louisiana, Mississippi, North and South Carolina and Tennessee, the Southwestern Section, including Nebraska, New Mexico, Oklahoma and Texas, the New York and New Jersey sections, and the Caribbean section. James developed a son, Vincenzo Ciccone, who represented the organization as the men’s open singles national champion, the number one ranked player, a college all-American, and a member of the Jamaica, W.I. Davis Cup Team. James plans to publish his fiction masterpiece, Nobody Stays, sometime in early 2018. It is a trilogy containing metaphors relating to tennis history and other topics. Look for it!